A Confab is an informal private conversation. 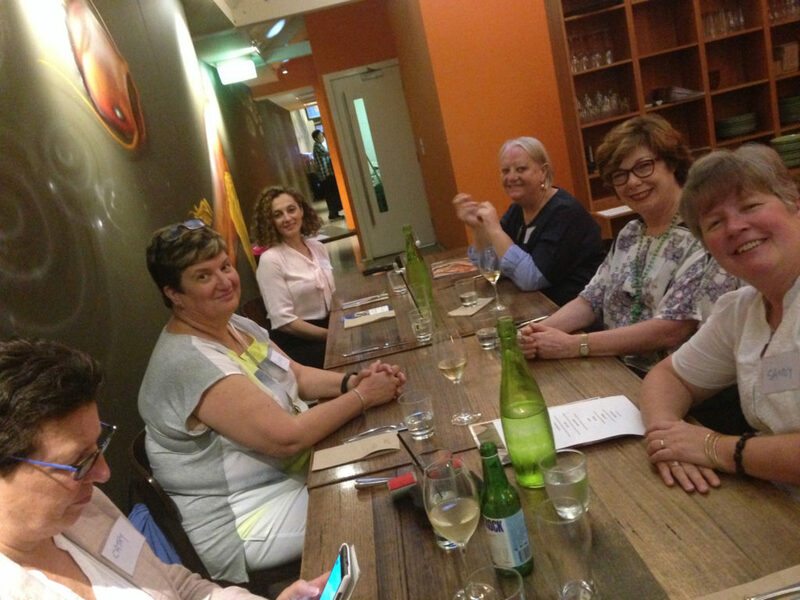 We run regular Women Who Care Confab Dinners to have great conversations about things that matter. The evenings are specifically designed for you to learn something useful, as well as connect with others who are working to make a difference in health, aged and community care services. A guest speaker gives us the latest theory and practice on a useful topic, for example, how to engage staff in change, how to get your message heard with senior staff, how to plan for real results or how take better care of yourself in a challenging environment. Each speaker includes three ‘Care Points’ from their research, experience or both that can, and have, improved things for consumers and health professionals. We then have some discussion, Q & A, and each person commits to implementing one of the Care Points in their life. And a big part of the caring is giving, so we ask each Confab participant to make a donation to our charity of choice – Very Special Kids through the Strachan Clan Fund which is a sub-fund registered with the Australian Communities Foundation. You can read about the previous Confab Dinners on the blog. Our next dinner is early 2019. Tickets sell out quickly so check your inbox regularly for the invite. Get yourself on the list to receive updates on the next event. Click on the button to send us your details.